As a truck driver, I keep hearing more and more about the importance of getting “Last Mile Delivery” right. Also called the final mile delivery, Last Mile Delivery is the last destination of a shipment’s cycle in the supply chain. This destination can be a local store, Wal-Mart or thanks to the e-commerce boom – can even be the customer’s home. With the recent (and continuous) rise in demand for e-commerce, last mile delivery presents both opportunities and hurdles for logistics, transportation businesses, and truck drivers.. While big rig drivers like us don’t typically, deliver to the end user or customer, I see a day coming soon where we might want to embrace this change, especially if we want to fend off the coming tide of automation. Imagining drones and robots delivering your parcels right at the doorstep is cool but is it really practical? According to Amazon’s founder, things are heading in the right direction and we could see robots and drones replacing the regular mail truck sooner than we expect. The technology surrounding robots and drones is still developing. Currently, drones are not able to deliver at long distance. The weight of the parcel should also be not more than a few kilograms. With some limitations, the writing on the wall is clear – Drones and Robots are the future. The time will tell if we are going to see them flying around in 2018. 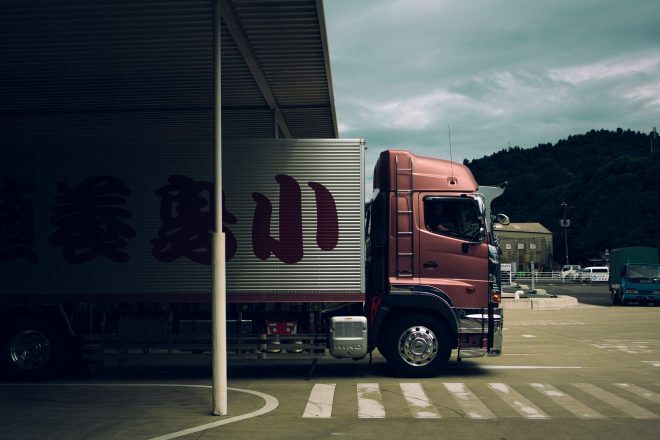 Big data and analytics will continue to have an impact on the logistics world. With an aim to make their overall supply chain more efficient, the logistics companies are crunching data. Improvement in technology will help these companies spot areas where cost could be reduced and how the benefit could eventually be passed on to the end-customer. Outsourcing is nothing new in a logistic business, and probably represents the one area where full-time truckers can make an impact. Manufacturing companies don’t like to own logistics, in fact they’d rather outsource it. The problem is: until traditional companies figure out the right recipe to make Last Mile transportation work on an industrial-scale, they’re going to have to outsource as well. Check out this article about outsourcing last-mile transportation to a towing company that has figured this bit out, all while keeping they’re main business running. Most of the items being ordered online are comparatively smaller. By small I mean smartphones and larger items are like refrigerators, etc. A consumer might find a suitable refrigerator online but instead of ordering it online, he may call up a mall store and order it! The store has the last mile delivery part outsourced, which is easier than having to keep the delivery fleet and training the employees. A couple of years ago, receiving what you ordered online within a few days was considered “fast”. Today getting the same things on the same day or sometimes even within a few hours is not uncommon. The demand for a quick delivery is only going to increase in the e-commerce world. In fact, some pundits, are of the opinion that same day or delivery within few hours might be the main distinguishing feature amongst online sellers. With some small adjustments in the supply chain model, logistic companies can utilize the last mile delivery option and be more effective in terms of quickly delivering parcels. Using technology (big data and analytics) retailers may be able to predict what the customer may want in future or might be interested in while receiving their ordered item. Just like Amazon shows you a list of product you might be interested in based on your search history, the driver from the carrier might show some additional items to customers based on their interest or past history.